The Endurance Framework (EF) in the Respire Blue provide an extremely strong framework using Wironit Chrome cobalt. By using this material it allows Respire to keep the lingual surface much thinner than can be achieved with any acrylic material. This maximizes the tongue space in the device and is carried through to the anterior portion.The opening in the anterior is one of the biggest benefits to the device as no acrylic is used creating as much space as possible for the tongue. 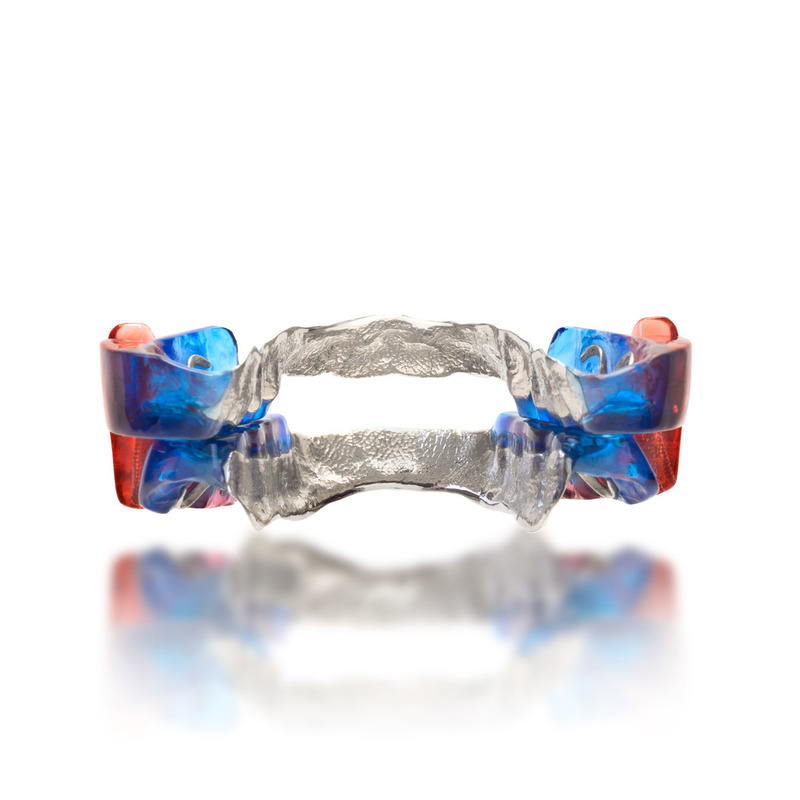 The Respire Blue Series places the jaw in a position that maintains an open airway by preventing the lower jaw from falling back and collapsing the airway. This in turn will allow patients to inhale more air per breath leading to a better nights sleep. In order to obtain FDA Clearance we had to prove not only that the material is safe, but also that the device effectively achieves its intended purpose. The Respire Blue has a mesh support that is welded to the screw and then placed inside of the acrylic. This improvement offers one of the strongest dorsal fin designs on the market.